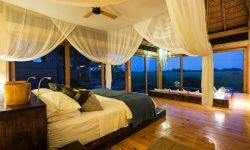 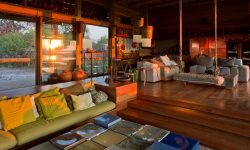 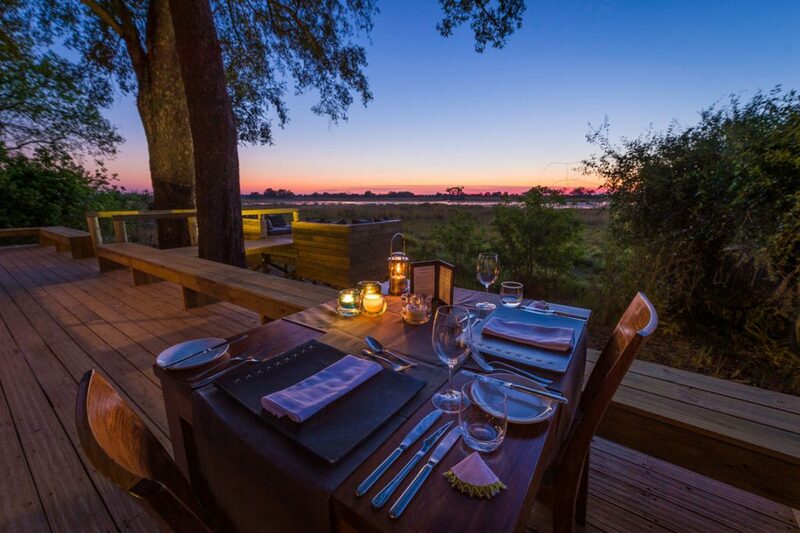 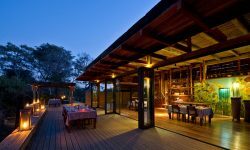 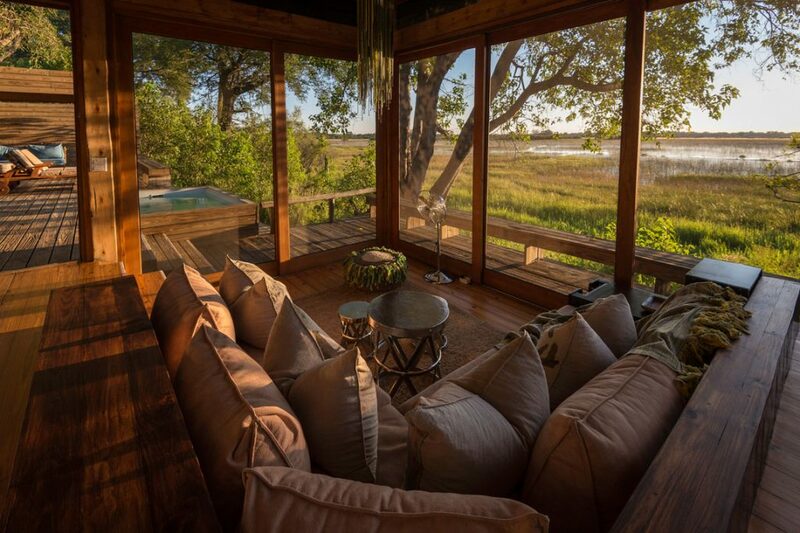 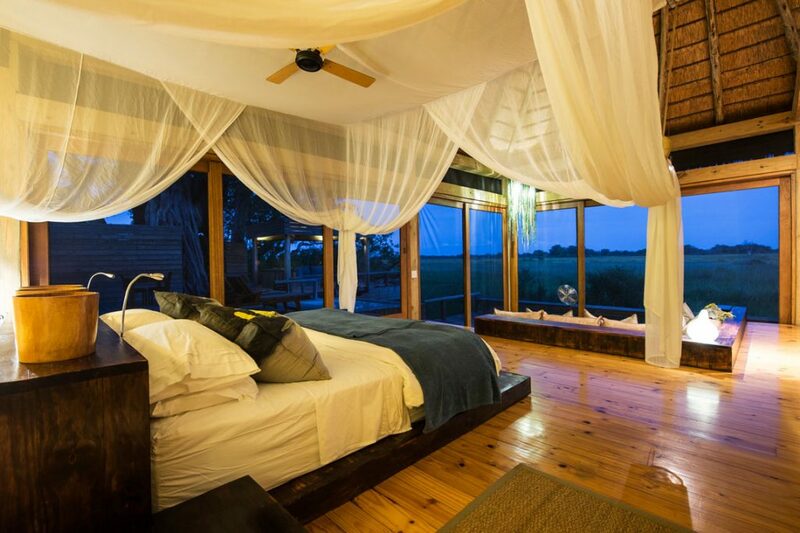 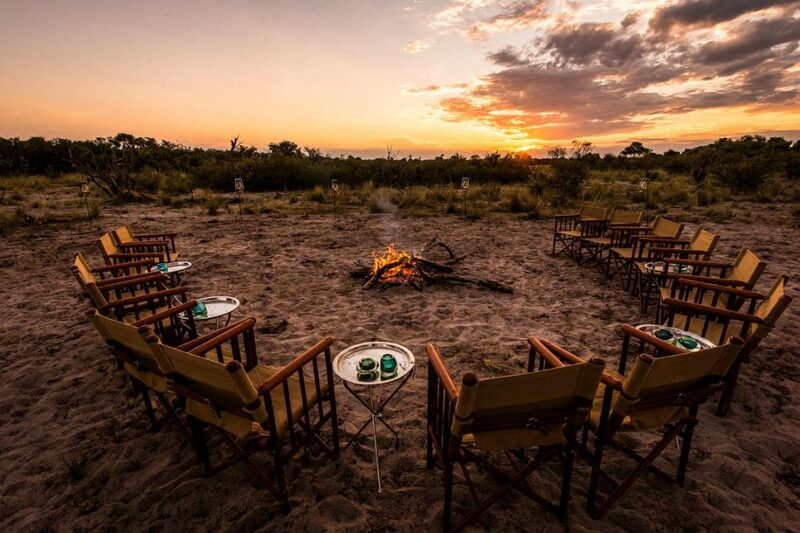 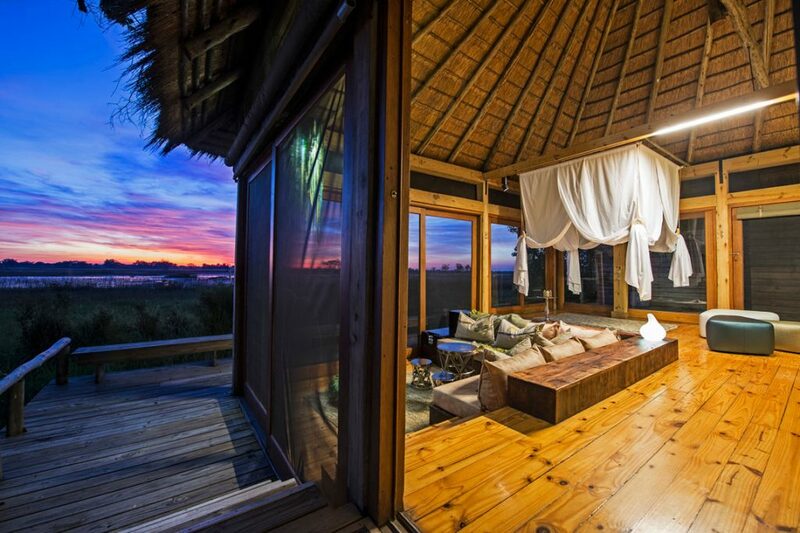 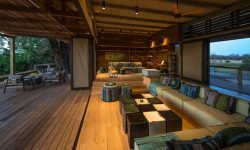 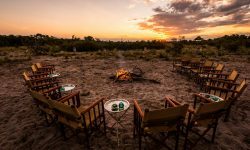 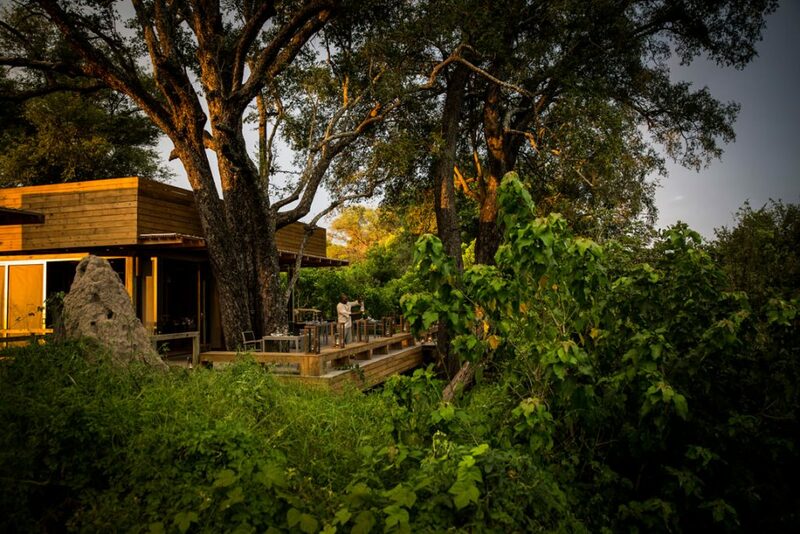 Vumbura Plains is a luxury camp situated in the northern Okavango Delta, comprising two separate satellite camps, each with its own raised dining, lounge and bar area with a vista across the floodplains. 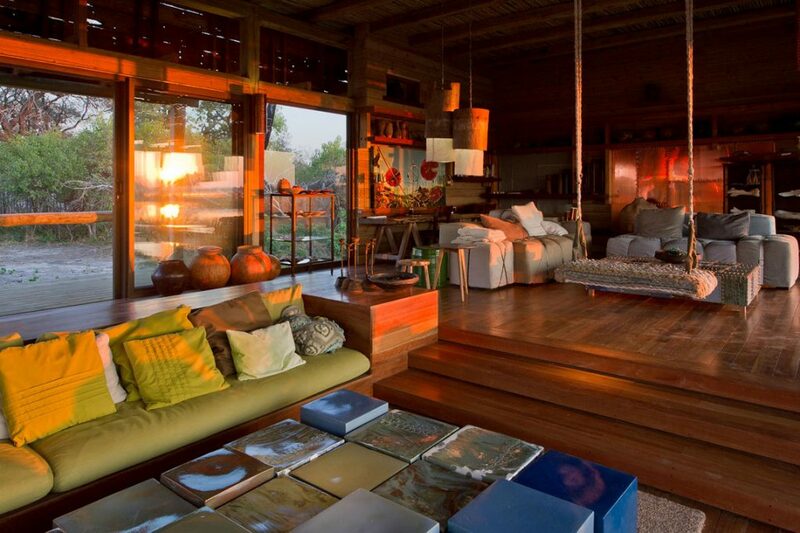 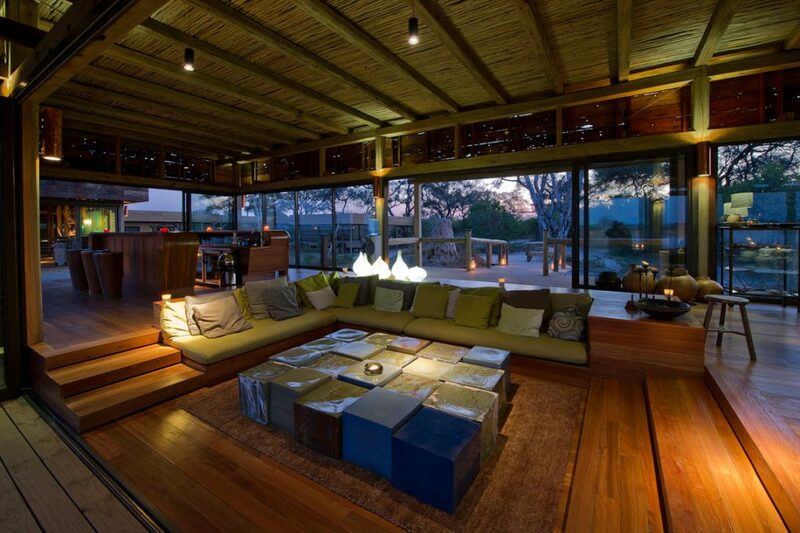 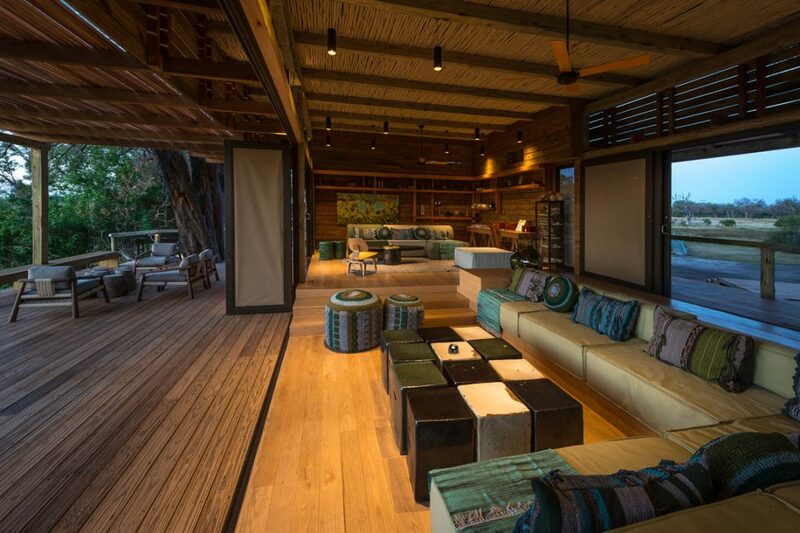 The main area emphasises relaxation, furnished as it is with soft sofas and idiosyncratic objets d’art. 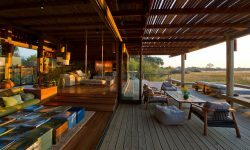 The 14 rooms, raised off the ground, are unique in contemporary design; the dimensions are square, with extensive use of light, wood and space. 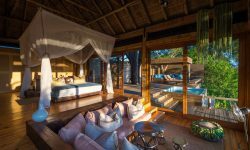 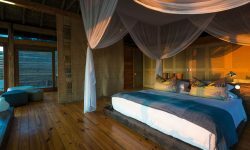 Each suite has a large, comfortable bedroom, sunken lounge with cushions, sala, en-suite facilities, an outdoor shower, private deck and plunge pool. 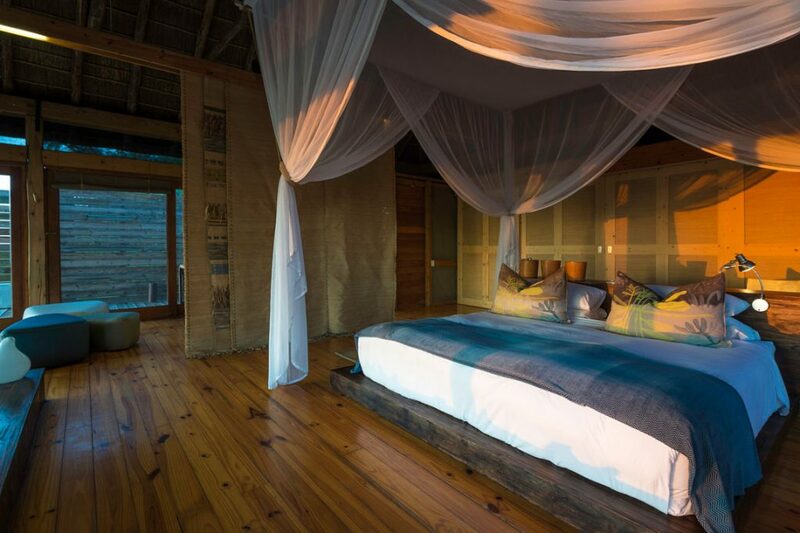 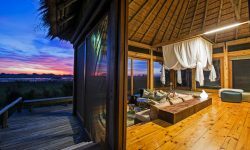 Two family suites are also on offer with private decks linking the two separate rooms. 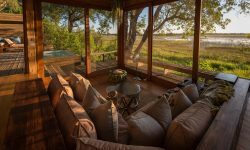 Vumbura Plains offers both land and water activities, principally game viewing in varied habitats on open vehicles, Air Safaris, hot air balloon safaris ( available April to September at added cost ), Walking Safari, Mokoro and boats, providing an excellent all-round experience. 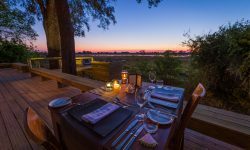 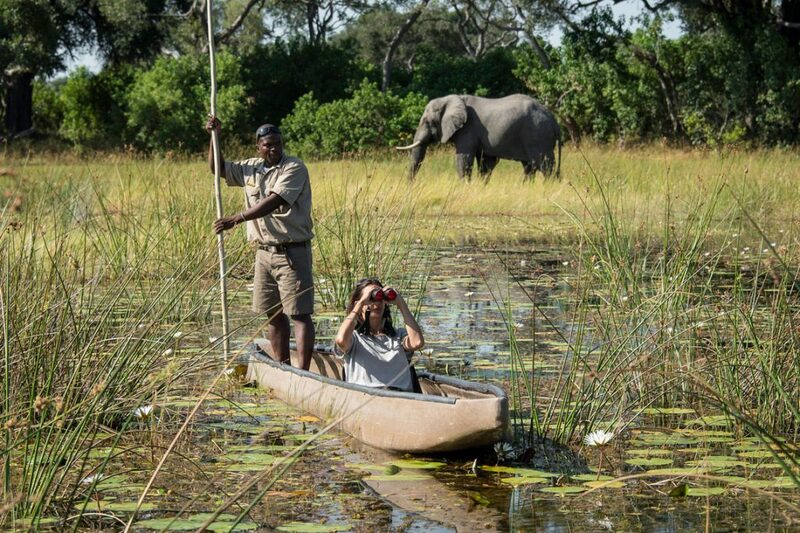 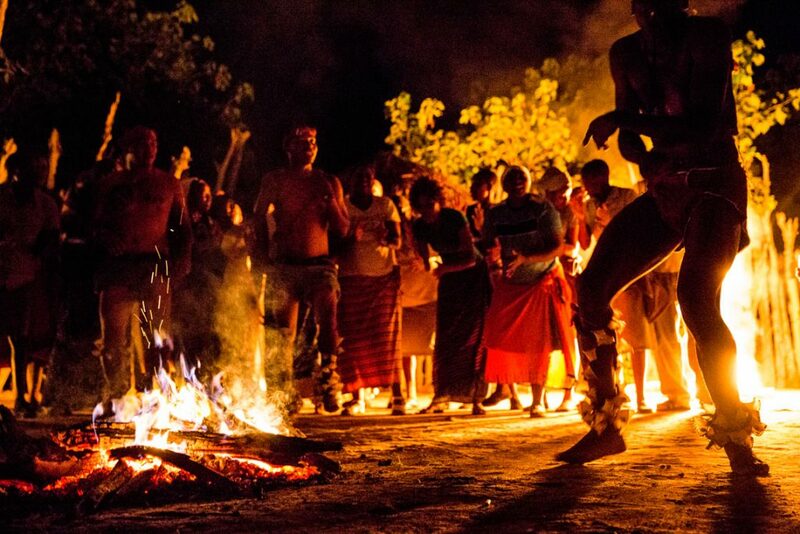 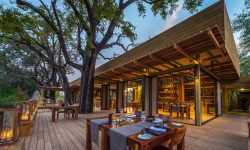 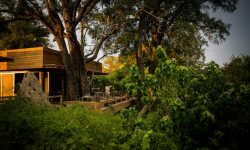 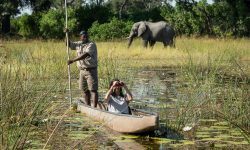 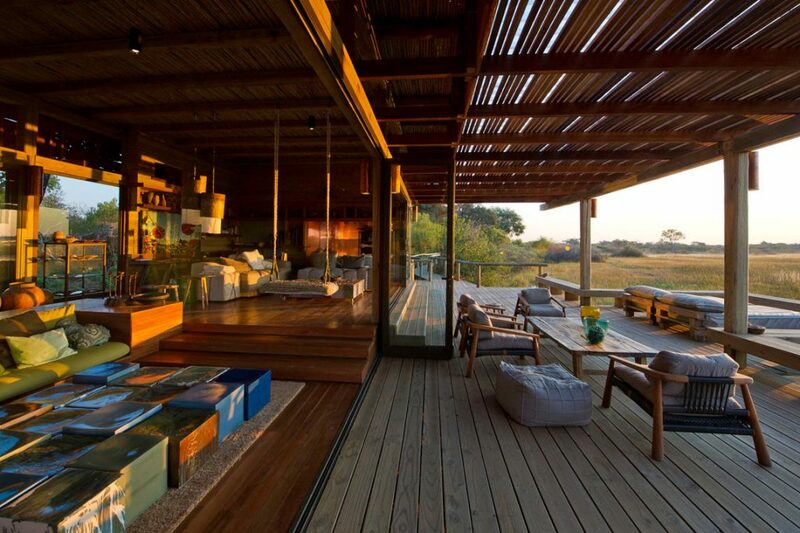 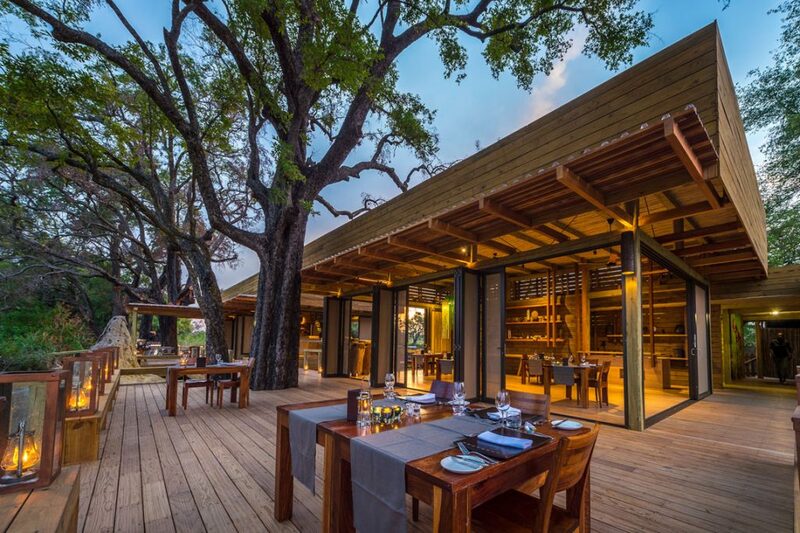 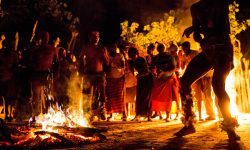 The concession is leased from five villages through the Okavango Community Trust in a partnership that ensures that the benefits of ecotourism are shared with rural stakeholders. 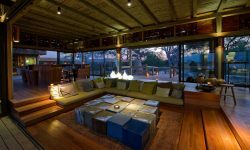 NOTE: Ballooning offered from mid-April to September. If you feel like being pampering, massages can be arranged upon request.